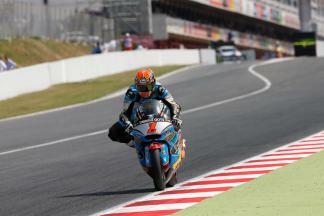 Home podium at the Gran Premi Monster Energy de Catalunya for Tito Rabat after last lap battle. 2014 Moto2™ champion Tito Rabat (Estrella Galicia 0,0 Marc VDS) was forced to settle for third place after an error at Turn 10 saw him run wide, allowing Johann Zarco (Ajo Motorsport) to claim victory. 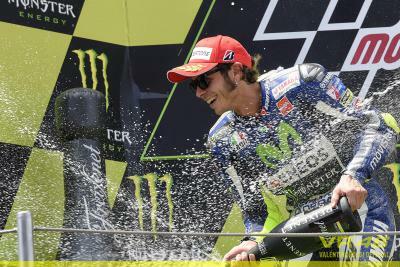 Despite the disappointment this marks Rabat’s fourth straight podium finish this year. 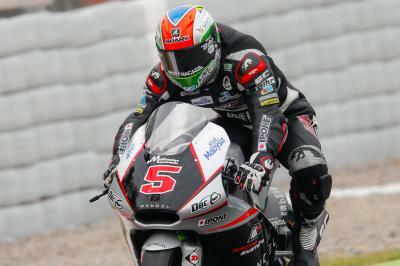 Rabat had a strong start to the race and attempted to break away and set his own pace but was unable to establish a gap. The Spanish rider now looks to Assen, a track where he is hoping on continuing his podium streak and improve on his best finish of fourth at the Dutch track. 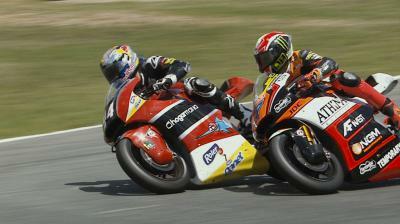 Both Johann Zarco and Alex Rins fought back from difficulties to claim 1st and 2nd respectively in Moto2™. Zarco: "I got pushed in the first corner"
A second Moto2™ victory in 2015 for championship leader who is now 40 points clear of second. 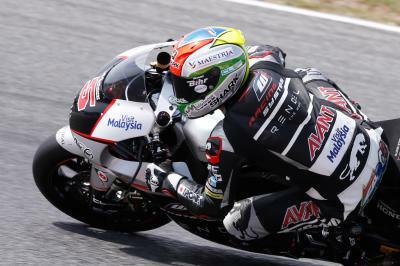 After two tough races Efren Vazquez returns to the Moto3™ podium. 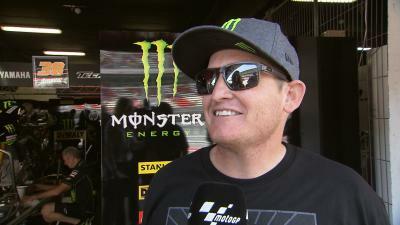 The star of Motocross meets the stars of MotoGP at the Gran Premi Monster Energy de Catalunya. 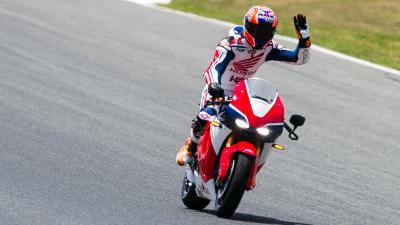 Casey Stoner takes a lap of honour on the new road-legal MotoGP replica, the Honda RC213V-S.
A return to the MotoGP™ podium for Dani Pedrosa after a difficult start to the season. 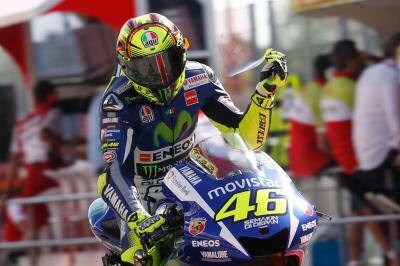 Valentino Rossi protects his Championship lead with second at the Gran Premi Monster Energy de Catalunya. 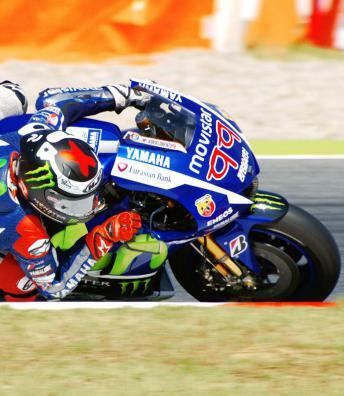 A fourth straight MotoGP™ victory in 2015 for Jorge Lorenzo has him reduce the Championship gap. 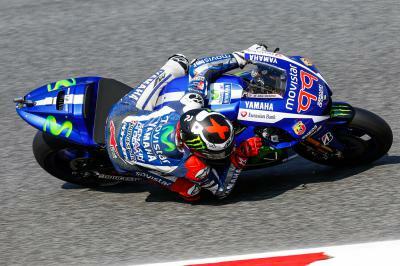 Jorge Lorenzo leads home his teammate Valentino Rossi to claim his fourth consecutive victory as Marc Marquez crashes out.